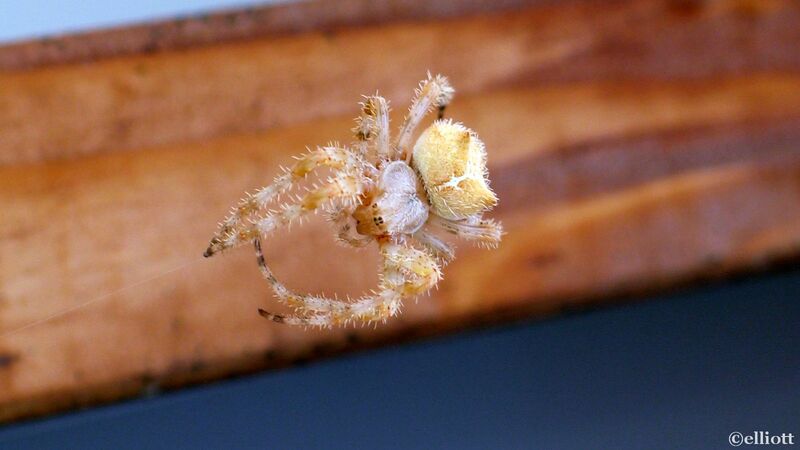 The markings on this spider’s abdomen are said to resemble a cat’s face, complete with bumps that look like ears. Sorry, this specimen does not have the prominent markings that really show the cat’s face well. This is a fairly large spider, about 15mm. Its habit of building its large orb webs inside barns and outbuildings, and near light sources causes an inordinate number of human encounters. It is completely harmless. 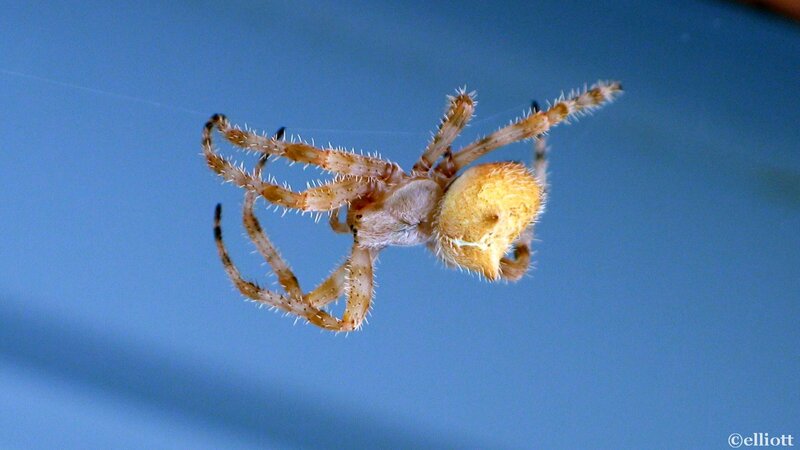 Orb weavers comprise a huge family of spiders, with 3500 species worldwide, 180 of which call North America home. These spiders vary greatly in color, shape and size, measuring between 2 – 30mm (1/16 — 1 1/4″) long. They have eight eyes arranged in two horizontal rows of four eyes each.